Britt Music Festival Concerts under the stars in Southern Oregon. The festival begins in June-August. Performances are held on the outdoor stage of the Peter Britt gardens in Jacksonville. Craterian Theater A non-profit theater located in the middle of beautiful Downtown Medford, The Craterian Theater at The Collier Center is a state-of-the-art performance venue and gathering place for the community of Southern Oregon. The Expo Top name performers from around the country perform here at the amphitheater located in Central Point. Harry & David’s Country Village America’s foremost purveyor of fine food gifts is based in Medford. Book at tour for a peak behind the scenes at the Harry & David Factory. Historic Jacksonville located 7 miles south west of Central Point, this gold rush town of the 1850’s is full of antiques, restored homes, shops and museums. Also you can explore the 1890 Belle gold mine. Lillie Belle Farms Handmade chocolate located next to the Rogue Creamery in Central Points scenic Artisan Corridor. Rogue Creamery home of handmade artisan cheese and gifts since 1935. Shakespeare Festival located in Ashland, the festival offers performances February through October. Plays range from classical to contemporary in three theaters. Southern Oregon’s Historical Society learn of Southern Oregon’s history through colorful and creative displays and exhibits. Central Point, The Market This unique market is sure to have something you can’t resist. From local makers of things to farmers and ranchers, this market has it all. Picnic seating, chalk art and so much more. Crater Lake The deepest lake in the United States and Oregon’s only national park. Crater Lake offers a lodge and cabins restaurants and shops. The park is open May through October. Diamond Lake Located 82 miles northeast of Central Point. Open year round, the resort offers summer fishing, boat rentals and charters; and mountain biking and rentals. House of Mystery Southern Oregon’s vortex, located in Gold Hill. Mt. Ashland Ski Area Both downhill and Cross-country skiing are enjoyed on Mt. Ashland 38 miles south of Central Point. Facilities include a lodge, rental shop, beginning through advanced slopes and cross country ski trails. Four chair lifts provide access to 23 ski runs. 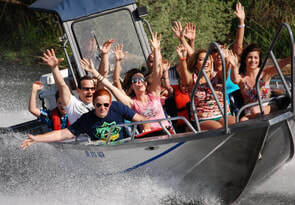 Rogue Jet Boat Adventures Smaller agile boats explore previously inaccessible areas in the private Table Rock area, resulting in the ultimate personalized experience. Rogue Valley Zip Line Adventures Is nestled in the Historic Gold Mining hills of beautiful Southern Oregon. Guided Zip Line Tours are ran by certified guides on our progressive five zip line Course. The Rogue River The River flows 215 miles from inside Crater Lake national park to the Pacific Ocean. The Rogue offers visitors and residents boating, fishing, rafting and hiking opportunities. What to do in Southern Oregon Run by a Southern Oregon local, this blog offers a variety of activities with all the research done for you!